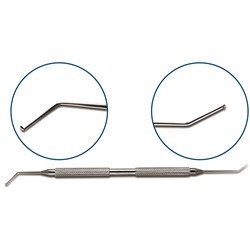 Double-ended, angled shafts, 9mm from bend to tip, phaco splitter, 60-degree interior cutting edge, blunt tip, 7mm from bend to tip, nucleus rotator, Y-shaped tip. Round handle. 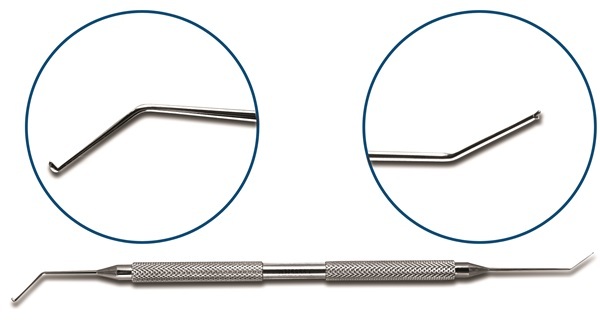 Overall length: 143mm.